However, Mudoch Agbinibo, spokesman of the Avengers, denied the report while saying that “Ballantyne Agiri” was not authorised to speak for the militant group. 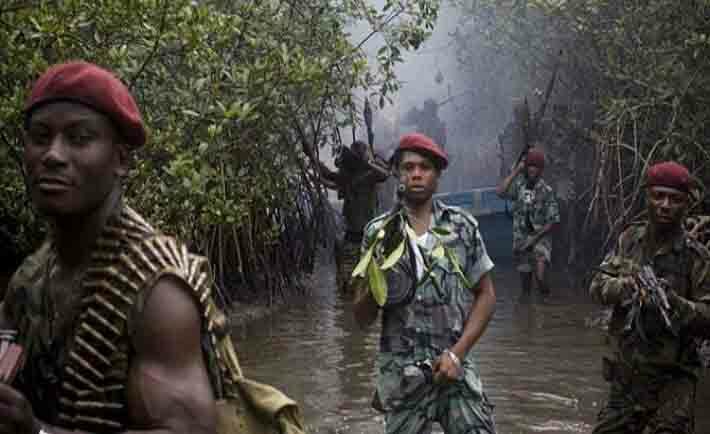 In a statement released on the website of the Avengers on Thursday, Agbinibo maintained that the Niger Delta no longer wants to be part of Nigeria. “The Buhari-led government has fail Nigerians with their misdirected policies that has divide the country,as such nobody wants to be part of that failed state not even the Niger Delta. “by October 2016 we will display our Currency, Flag, Passport, our ruling Council and our Territory to the world. “To the United Nations, we are not asking for much but to free the people of the Niger Delta from environmental pollution, slavery, and oppression. We want a country that will turn the creeks of the Nigerdelta to a tourism heaven, a countrythat will achieve its full potentials, acountry that will make health care system accessible by everyone.